Jay-Z led Grammy nominations Tuesday with eight nods, followed closely by fellow rapper Kendrick Lamar with seven, in a striking embrace of hip-hop for the music industry's top prizes. Jay-Z, who had never before been nominated in a major category as a solo artist, is up for Album of the Year for his "4:44" as well as for Record of the Year and Song of the Year. "4:44" marked a return to music by the 47-year-old Jay-Z after years focused on business ventures. 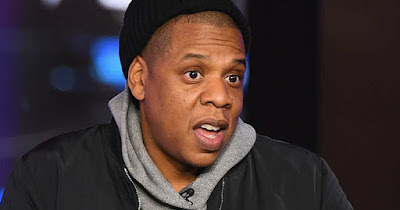 The album put on display an unusually vulnerable Jay-Z who acknowledged his infidelity to wife Beyonce, explored his mother's closet life as a lesbian and tackled the state of US race relations. Bruno Mars, the fun-loving funk revivalist, also fared well with six nominations including Album of the Year for his "24K Magic." The ceremony will take place in New York, Jay-Z's hometown, to mark the awards' 60th edition after 14 years in Los Angeles. The industry was already set to honor Jay-Z at the pre-Grammy party thrown by music executive Clive Davis.